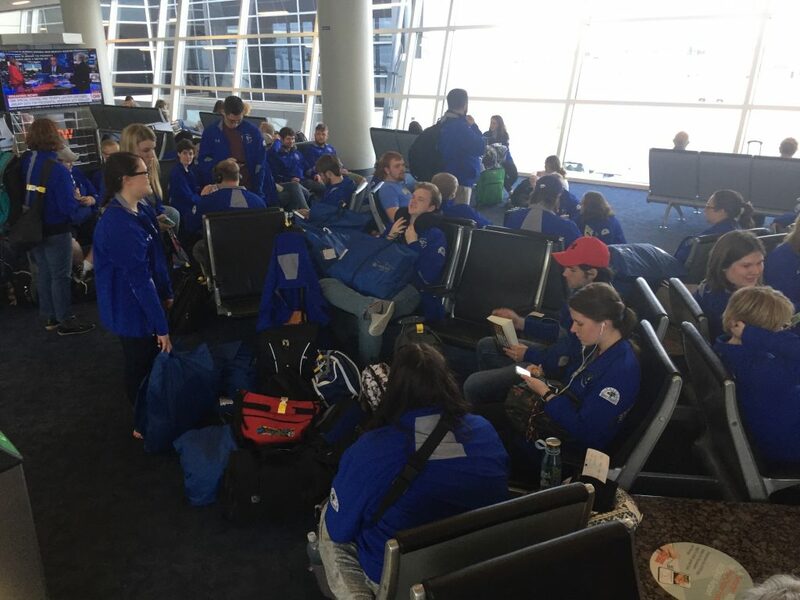 As this is being written, most members of the Bethany Choir and Handbells have been awake for more than 30 straight hours, save a few hours of bad sleep on an international flight. 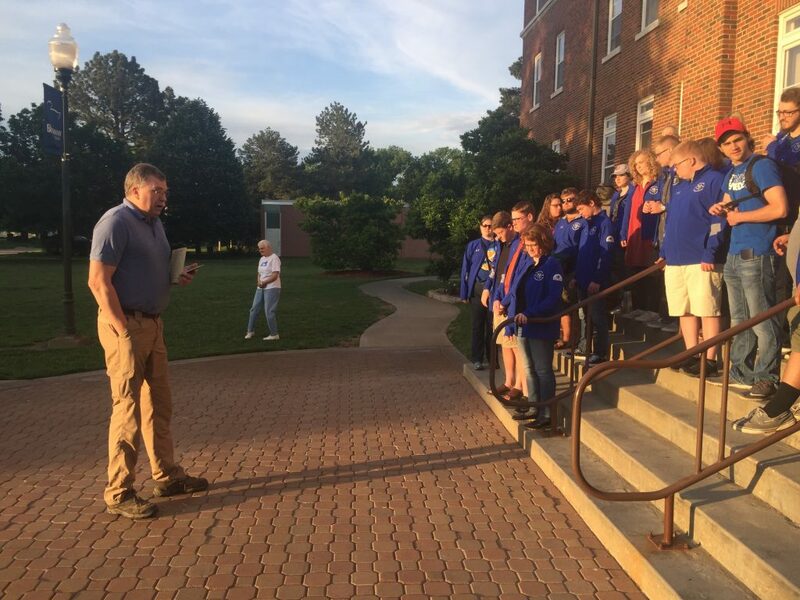 Our day began with Marc Anderson leading a devotional on the steps of Presser Hall, just before we sang the Alma Mater. The rest of the day is somewhat a blur. It almost seems as if we traveled for a week. 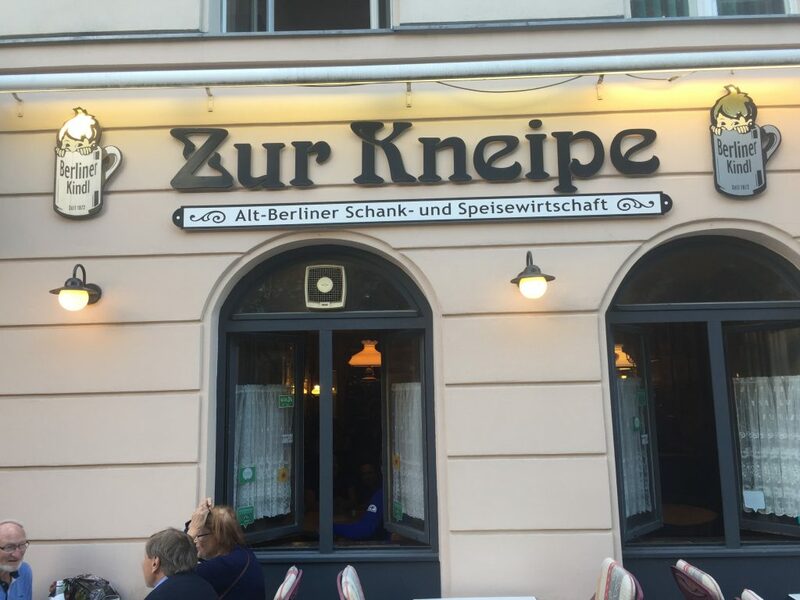 In fact, we rode a bus for 6 hours to Dallas before flying to London and then connecting to Berlin. Why would you do THAT, you might ask. Well, these specific flights out of Dallas were $500 less per student than any other flight we could find. So. . . it was off to Dallas, where we waiting to board our British Airways flight. It must be mentioned that everything went extremely smoothly in Dallas. London-Heathrow was another matter alltogether. It seems that the folks in Dallas and the folks in London have differing ideas about security, with London being quite a bit stricter, so much so that, if the flight hadn’t been delayed we may have missed a couple of people! Nevertheless, we made it. . . and were walking zombies the rest of the day. Upon arrival in Berlin we met our tour guide, Mary. 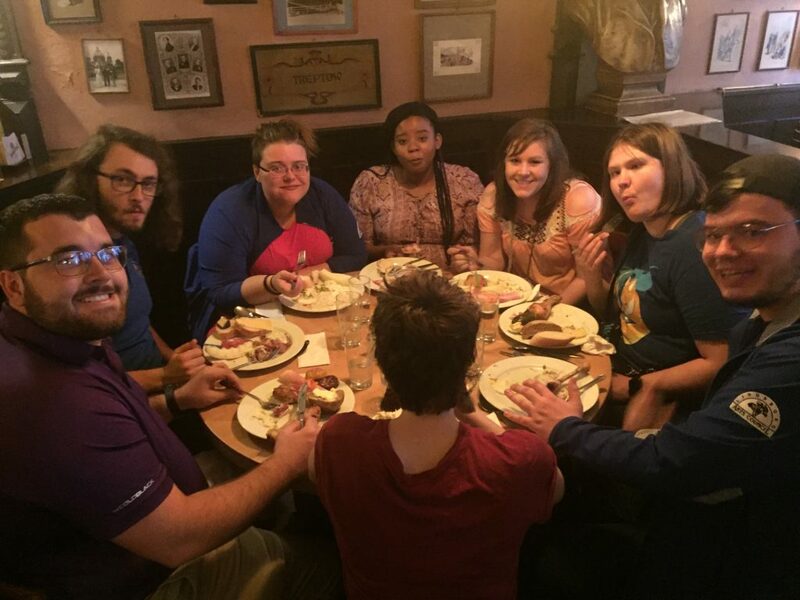 She introduced us to our city guide, who loaded up our bus of zombies and showed us the sights in Berlin. 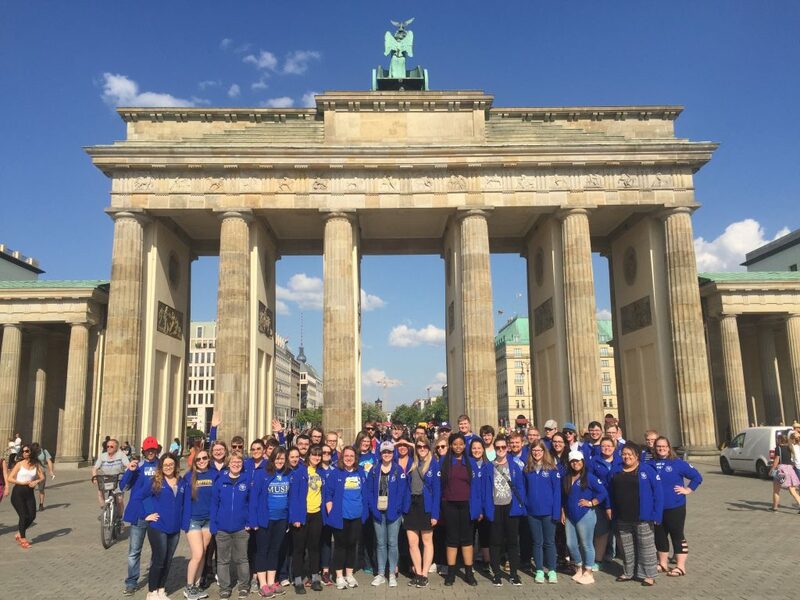 The Bethany Choir and Handbells in front of the Brandenburg Gate! 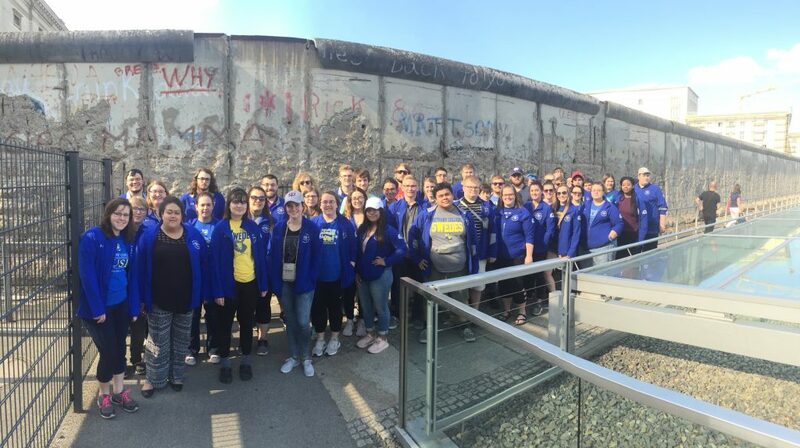 The students in front of a portion of the Berlin Wall. 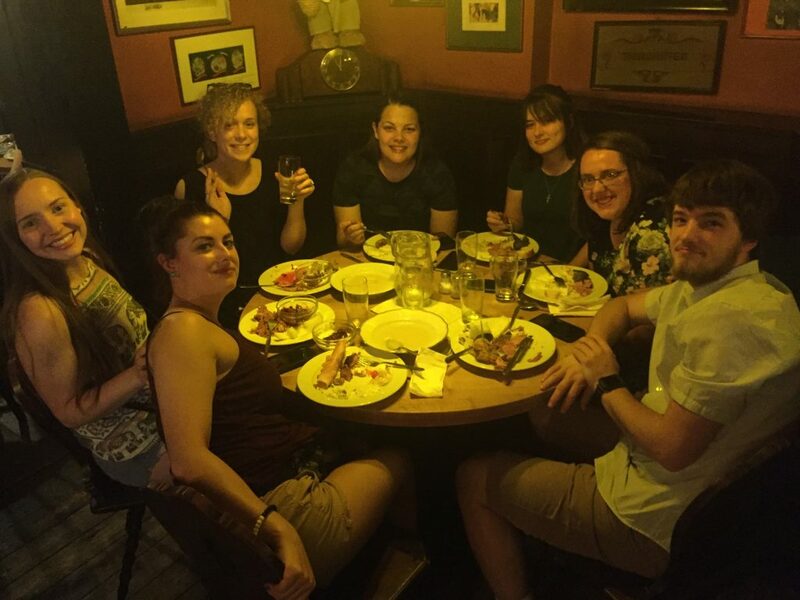 You can’t say we don’t get our money’s worth, because after checking in to the no frills but clean and safe youth hostel (A&O Berlin Mitte) we got right back on the bus to attend one of the meals provided by the tour company and a local restaurant. 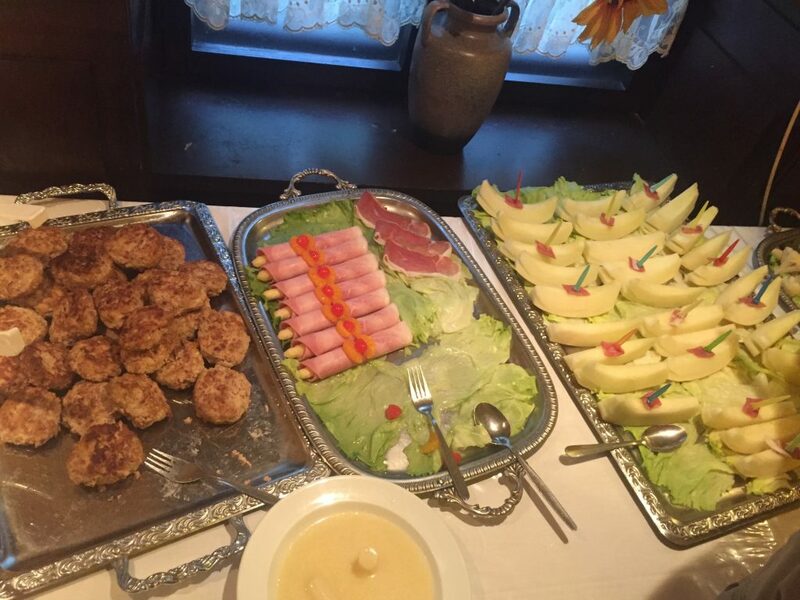 We were treated to a buffet of traditional German food. It was outstanding! Wow! 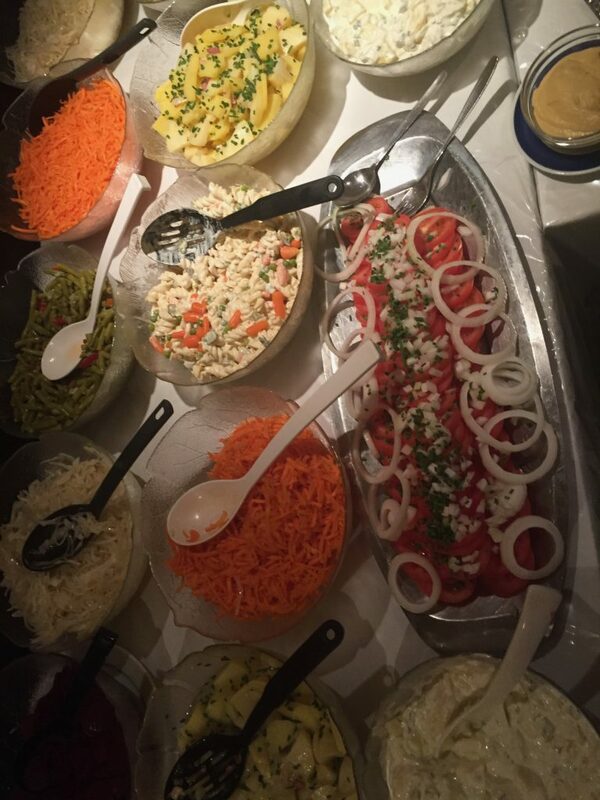 Fabulous looking food!! Hope everyone gets some sleep tonight!! Good to hear about the beginning of your adventures. Knowvitvwill be memorable. Thanks for sharing. Love your blog! Nice to know what’s happening with our kids. Thanks for the trip of a lifetime. They will never forget! 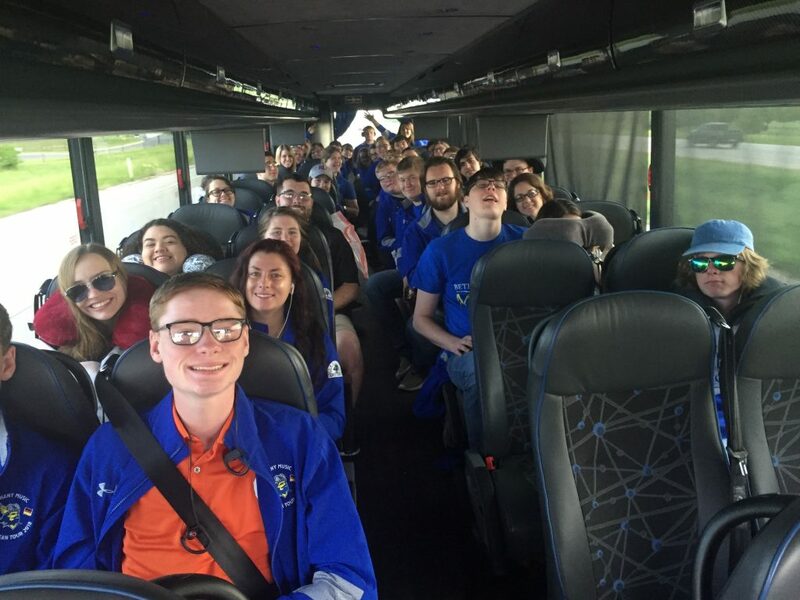 Glad you all made it safely! That’s awesome. You all have the time of your life!!! 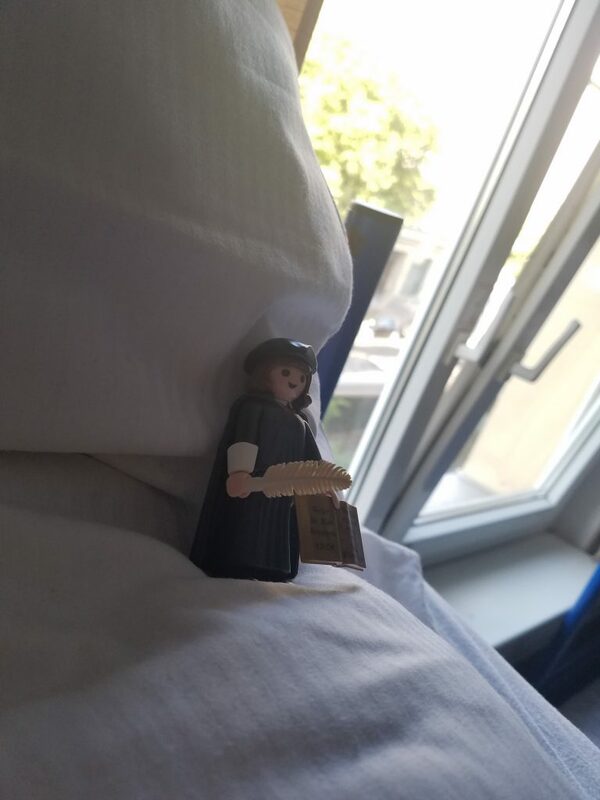 So glad you are posting pictures of the students not just the sites…..trip of a lifetime where a little history comes to life…..ENJOY! Yes, go Swedes CHOIR and HANDBELL…..